Amy Kosior, previous La Porte High School assistant principal, took on a whole new lead during the 2018-2019 school year: Kingsford Heights principal. After the retirement of Marcia Alexander, previous Kingsford Heights principal, Kosior was given the opportunity to take on the new role at the elementary school, and she has been in awe ever since. “Seeing these smiling faces and getting hugs each day cannot be beat,” Kosior said. Before moving to LPHS, Kosior taught at Boston Middle School for 20 years, 19 spent teaching science and one leading gym. Kosior has adapted tremendously to her new environment and title already. As the students and staff continue getting to know Kosior, she continues learning the names of all of her students and remembering different stories of all of them. “Kingsford Heights has been a fantastic and welcoming place for me. I am so thankful for the support of the staff, families, and students,” Kosior said. Making the transition from high school to elementary students is not always easy. In some ways, Kosior has found her younger students to be simpler in their ways, though working with younger children has definitely required an adjustment in mindset. “High school students have already worked on setting their direction towards a career, college, or trade. 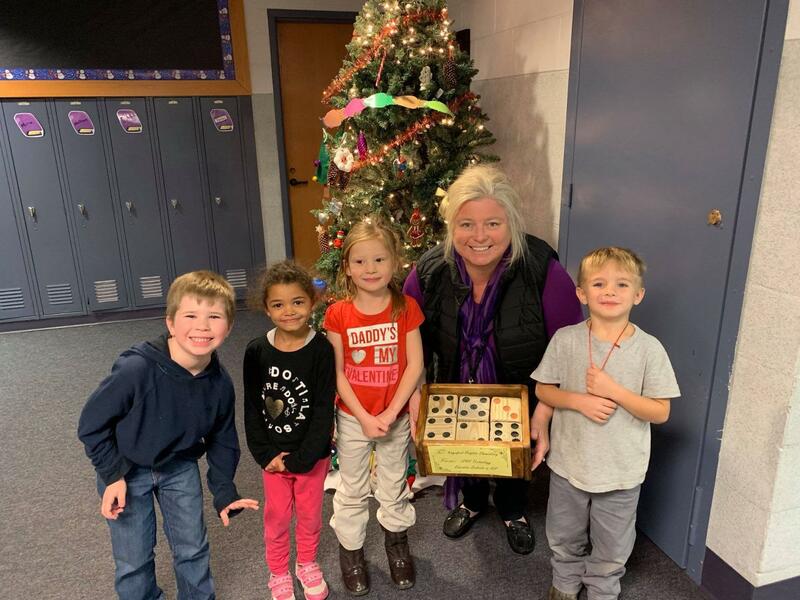 Elementary students are still experiencing and learning so many things that they are excited about literally everything,” Kosior said. The LPCSC is anxious to continue observing the smooth transition of Kosior’s move from LPHS to Kingsford Heights and watch the Tigers grow under her leadership.